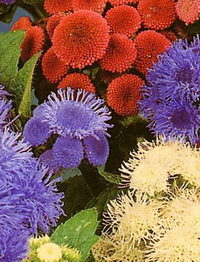 Varieties of plants from seed can be presented as different product types, which depends on their mode of propagation. Open pollinated (OP) varieties: these are the most simple in concept. 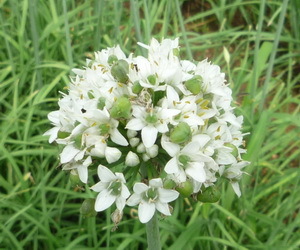 Plants are selected to have similar performance, for habit and flowering period. They are then grown together and allowed to pollinated each other. Uniformity of the variety is dependent on how well the stock is maintained - poor stock maintenance leads to variable varieties with indifferent performance. 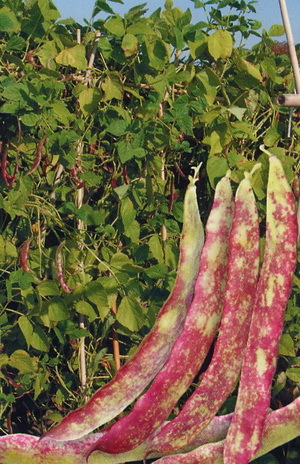 Our suppliers select and maintain their own stock seed for most of the varieties offered. F1 hybrid varieties: these result from crossing together two pure-breeding parents. Generally, F1 varieties are more uniform and vigorous, with better overall performance than OP varieties. Parent plants are generally grown under cover with most species requiring hand pollination. Parent lines must also be maintained. F2 hybrid varieties: seed collected from F1 plants is F2. Uniformity and vigour is less than the parent F1 variety, but can be better than equivalent OP varieties. The production of seed, particularly for ornamentals, is a mix of gardening art and science. In order to produce quality seed many factors have to be combined together. Parent stocks: these must be high quality and uniform. We maintain our own stocks, and much of our trialling effort goes into proving parent stock quality. Isolation: in order to prevent cross-contamination between different varieties these have to be grown far enough apart to stop bees travelling between them. Many different locations are needed. Each crop is visited several times during the growing season. Growing: both in greenhouse and field the crop needs to be well grown and kept weed-free. Stressed plants rarely produce high germinating seed. Climate: the climate of the production area needs to be chosen carefully to suit the needs of the plants, combined with the choice of greenhouse or field production. Harvest: harvesting when seed is properly ripe, and immediate post-harvest handling of the seed to properly condition it, are crucial to the final out-turn. For many species, including most F1 varieties, this phase is carried out by hand. Seed Testing: seed is regularly tested in-house to ensure that only quality seed with good germination and vigour is supplied. A trialling programme is central to many aspects of quality control. It enables the trueness to type of a variety to be judged, the uniformity of production mother stock to be assessed, and as an aid to sales and marketing.